Government plans super-fast broadband for all by 2015 | What Hi-Fi? Under the previous Labour Government, the aim was to deliver 2Mbps broadband access to all by 2012. But the Coalition has now decided 2015 is a more realistic target, and has put aside £830m for the scheme. Some of the money will come from funds given to the BBC to pay for the switch to digital TV. The private sector is to deliver broadbands to two thirds of the country. Other, mainly rural, areas will receive public funds to build a "digital hub" with a fibre optic internet connection. Culture Secretary Jeremy Hunt says the strategy will give the country Europe's best broadband network by 2015 and will be central to economic growth and the delivery of future public services, dependent on quick, reliable access to the internet. 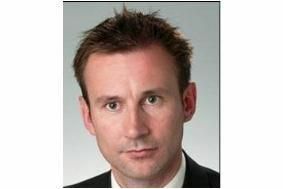 "The reason we want to do this is simple – it's about jobs," says Mr Hunt. "It's silly to hang your hat on a speed like two meg when the game is changing the whole time. "But the Government will not define the minimum speed it hopes the super-fast service will offer. A recent study by the regulator Ofcom revealed that fewer than one per cent of UK homes have a super-fast broadband connection of at least 24Mbps.